Pearl is an intricate fourteenth-century poem written by one of the greatest Middle English poets—the anonymous artist who also gave us Sir Gawain and the Green Knight. This medieval masterpiece presents the meditative Dream Vision of a father (the Dreamer) mourning the loss of a young daughter (his Pearl). Having recently translated Sir Gawain and the Green Knight to critical acclaim, John Ridland now tackles the even more challenging Pearl. Ridland succeeds in giving us another innovative and pleasurable translation that retains line-by-line fidelity with the source material, while bringing the fourteenth-century Northwest Midland dialect into an unstrained contemporary idiom. Ridland's inventive meter and rhyme convey the sonic beauty of the original. What is more, his preface provides a comprehensive background and analysis of Pearl, points out the techniques deployed by the original poet, and explains Ridland's own approach to translating the poem. This translation will delight and reward the reader. 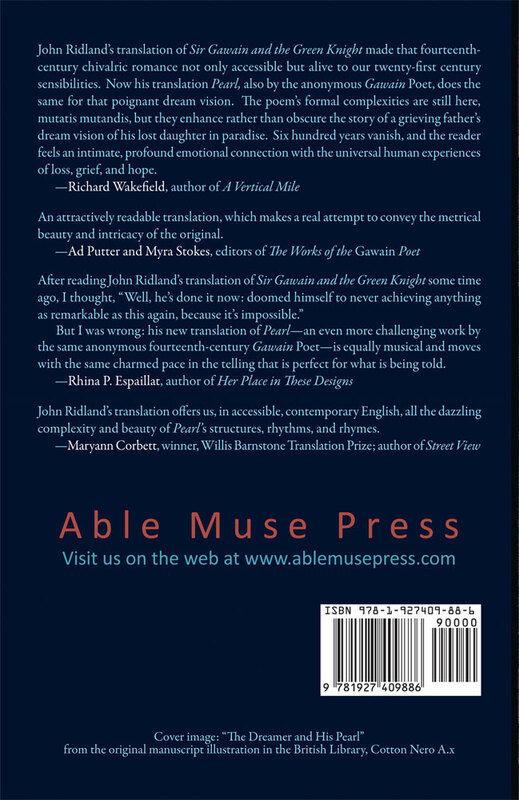 John Ridland’s translation of Sir Gawain and the Green Knight made that fourteenth-century chivalric romance not only accessible but alive to our twenty-first century sensibilities. Now his translation Pearl, also by the anonymous Gawain Poet, does the same for that poignant dream vision. The poem’s formal complexities are still here, mutatis mutandis, but they enhance rather than obscure the story of a grieving father’s dream vision of his lost daughter in paradise. Six hundred years vanish, and the reader feels an intimate, profound emotional connection with the universal human experiences of loss, grief, and hope. An attractively readable translation, which makes a real attempt to convey the metrical beauty and intricacy of the original. 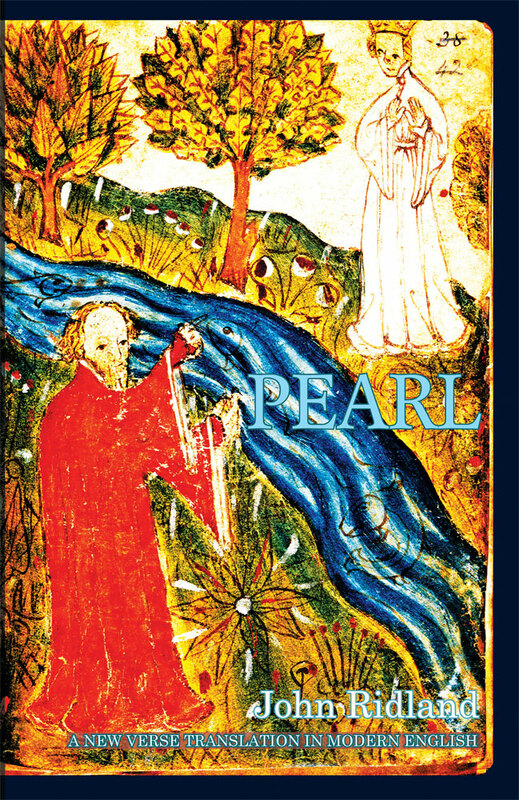 But I was wrong: his new translation of Pearl—an even more challenging work by the same anonymous fourteenth-century Gawain Poet—is equally musical and moves with the same charmed pace in the telling that is perfect for what is being told. John Ridland’s translation offers us, in accessible, contemporary English, all the dazzling complexity and beauty of Pearl’s structures, rhythms, and rhymes. John Ridland, PhD, taught English at the University of California, Santa Barbara, for forty-three years. His recent book of translation is the Middle English anonymous poet's masterpiece, Sir Gawain and the Green Knight (Able Muse Press, 2016). His other publications include A Brahms Card Ballad, first published in Hungarian translation, Happy in an Ordinary Thing, and a book-length translation of Petöfi’s John the Valiant. With Dr. Peter Czipott, Dr. Ridland has translated several other Hungarian poets, including Sándor Márai’s The Withering World (Alma Classics, 2013) and Miklos Rádnoti’s All That Still Matters at All (New American Press, 2014). In 2014 Askew Publications issued his epic poem, A. Lincolniad.